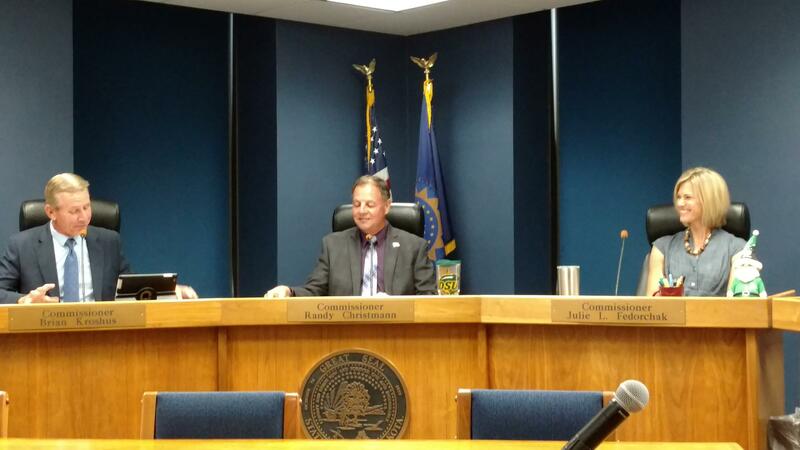 Public Service Commissioners Brian Kroshus (i); Commission Chairman Randy Christmann; and Julie Fedorchak. The developers of a crude oil pipeline in western North Dakota have changed directions – and are proposing to convert it to transport natural gas liquids. The BakkenLink Pipeline runs from Williams to Billings County. It's 124 miles long, and 12-inches in diameter. "This crude oil line wasn't developed as planned," said Commissioner Julie Fedorchak. "It was originally planned to go under Lake Sakakawea, and take crude oil to the north of the lake, connecting with the Sandpiper Pipeline." Fedorchak said the Sandpiper project was shelved, and the BakkenLink developers had trouble getting a permit to run the pipeline under the lake. "This is a line that's in the ground," Fedorchak said. "There's a significant need for more pipeline capacity for natural gas liquids." 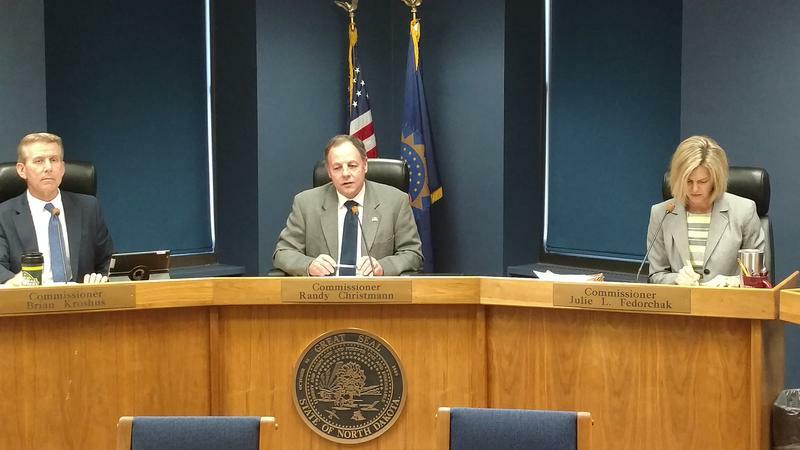 Commissioner Brian Kroshus agreed on the need for more NGL infrastructure. "This is really a good thing that's occurring," Kroshus said. "From an environmental standpoint, it decreases natural gas flaring percentages in the Bakken, and also has a value-added component for our energy industry." The PSC has issued a “notice of opportunity” for a hearing, but if no one asks for a hearing, the Commission could take action without a formal procedure – because the pipeline already exists. The Public Service Commission has approved ONEOK’s plans to convert an existing pipeline from natural gas to natural gas liquids. The 45 mile, 12-inch diameter Cherry Creek pipeline runs from the Lonesome Creek gas plant to the Stateline gas plant. It will carry 50,000 barrels of the natural gas liquids daily. Commissioner Julie Fedorchak said this will help companies reach their flaring reduction goals. And she said transportation by pipeline is safer than using trucks or rail cars. "This is pretty volatile stuff," Fedorchak said. "This is the best way to do it."